before letting go . . . .
"A Blessing of Wet Earth"
​This collection begins with a poem about the ancient Incan ritual of tying the sun down at solstice, the longest night of the year, and ends with a poem on the equally ancient Mayan calendar, the Great Stone Wheel of days. In between, there are poems that soar on the wings of seagulls, poems that go fishing on Lake Hamilton, poems with bittersweet satsumas and buttery lettuce, poems that fall in love with the moon. 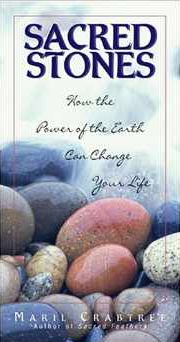 Maril Crabtree sees the natural world and delights in it; you will, too, after reading this love and light-filled book. - Barbara Crooker, author of Radiance, Line Dance, More, and Gold. In Dancing with Elvis, Maril Crabtree brings us 25 lyric poems that give her readers a view of life with the perspective and insight that come from an experienced (and often sassy and sensual) poetic voice. From Elvis to Coltrane, from a dreamy Southern childhood to the gritty streets of Kansas City, she explores some of our deepest life themes. She speaks of those things we all know but struggle to understand. --Carol Hamilton, former Poet Laureate of Oklahoma, author of Umberto Eco Lost His Gun, Peter the Great and Lexicography. Of the four great elements of nature – air, earth, water, and fire - fire seems the most mutable, taking a thousand forms and shapes, spawning hundreds of legends, reaching across time and space. 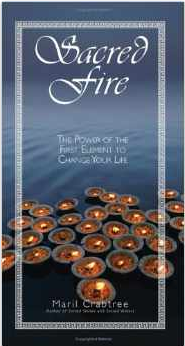 These true stories, meditations, and poems delve into the many lessons we can learn from the great symbol of fire and the many ways it manifests in our lives. Water will always call to us as the source of all life. 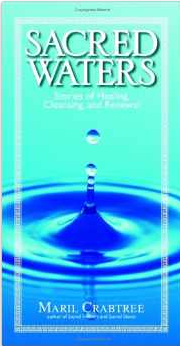 In Sacred Waters, Maril Crabtree offers a collection of stories, poems, and meditations about how water – from a drop to drink to a glorious downpour – has influenced and guided us during pivotal moments in our lives. Stones can teach us about our sacred connections – to spirit, to self, to memory, to imagination, to ancient energies, and to deep, archetypal urges. In Sacred Stones, the sequel to Sacred Feathers, you will find an inspiring collection of true stories, poems, and meditations about how stones—from the tiniest pebble to the largest monument—have guided, healed, and transformed our lives. Throughout history, feathers have served as spiritual symbols of sacred power for cultures as far back as ancient Egyptian, Asian or Celtic eras, as well as in many Native American and other indigenous cultures. 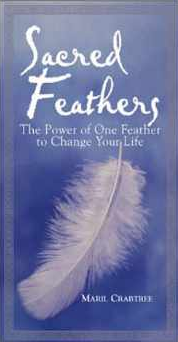 These true stories give examples of how nature communicates through feathers in mystical but nonetheless unmistakeable ways.